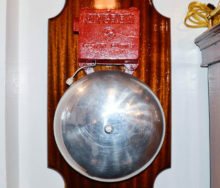 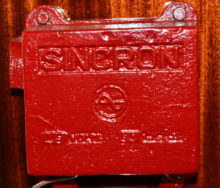 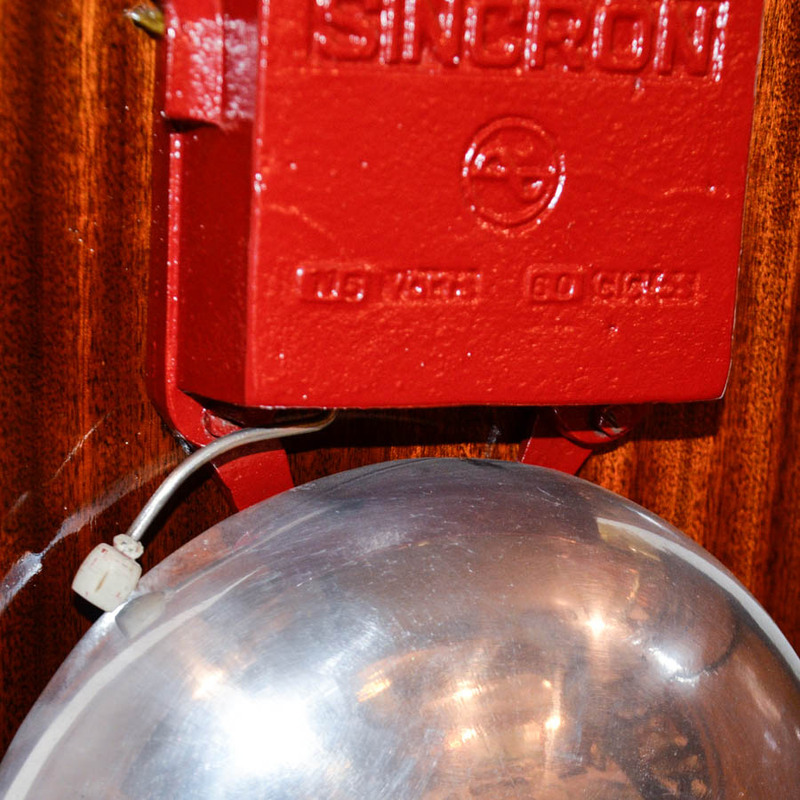 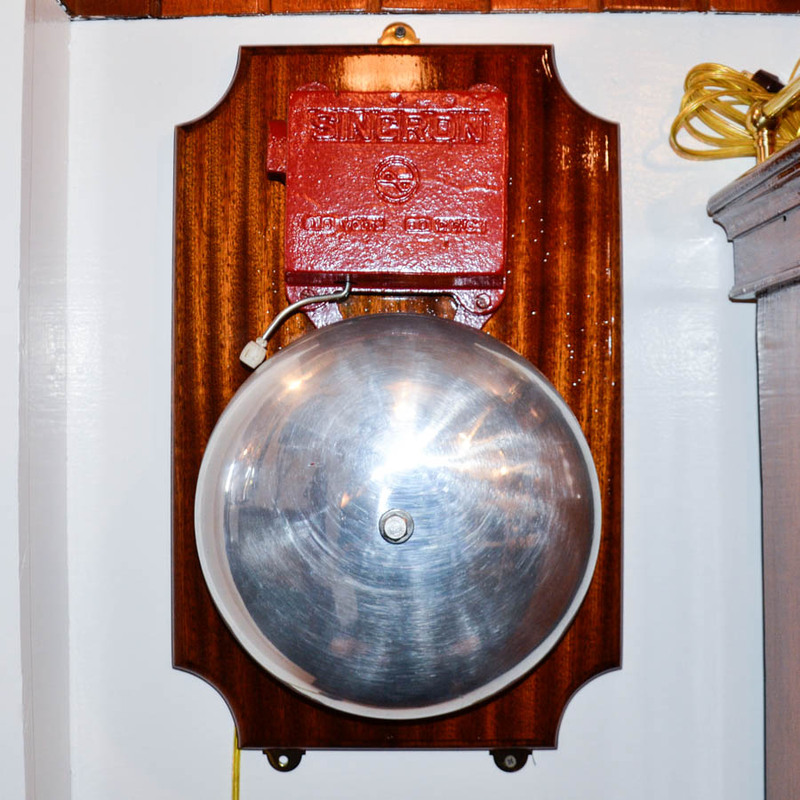 This alarm hosts a huge 10″ diameter bell, converted to 110v for home use. 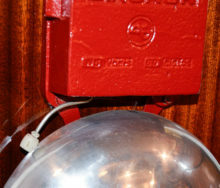 The cord has a switch wired into it. 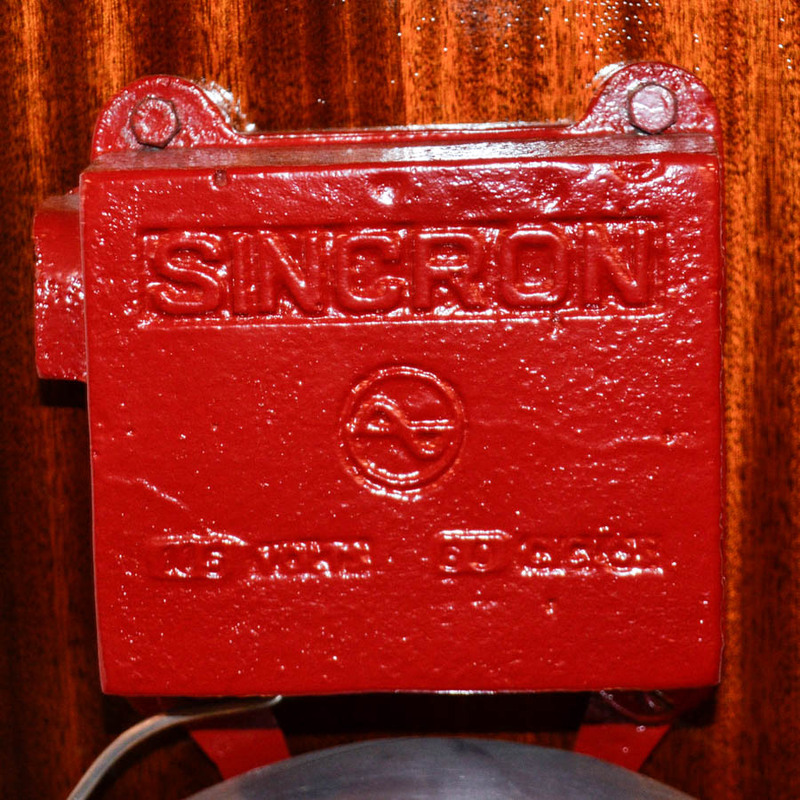 Mahogany back board measures 19.5″ by 12.5″.